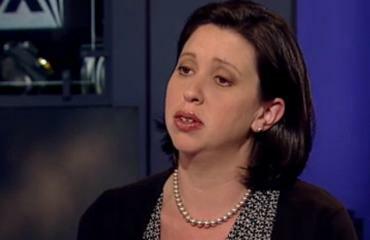 Naomi Schaefer Riley, the former blogger for the The Chronicle of Higher Education, questioned the relevancy of black studies doctoral programs. Schaefer Riley’s post was in reaction to Stacey Patton’s Chronicle of Higher Education article in an earlier edition, “Black Studies: Swaggering Into the Future.” The article discussed the topics and methodology of the 21st century Northwestern University Black Studies scholars who use an interdisciplinary approach for their theses on the history, culture and politics of race. 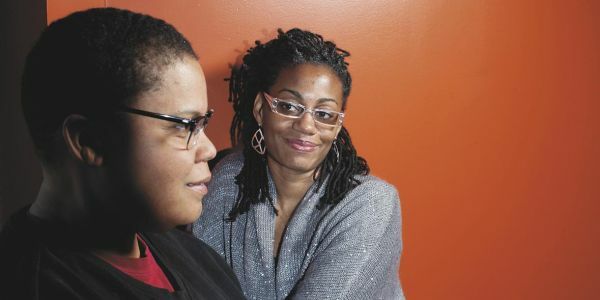 They are among the first group of Black Studies doctoral candidates in the Northwestern University program which began in 2006. Black Studies programs were established at colleges and universities in the U.S. in the late 60s in response to the call, in the form of protests, by African American students for courses relevant to the African American experience. The first Black Studies program began at San Francisco State in 1968 headed by sociologist Nathan Hare. 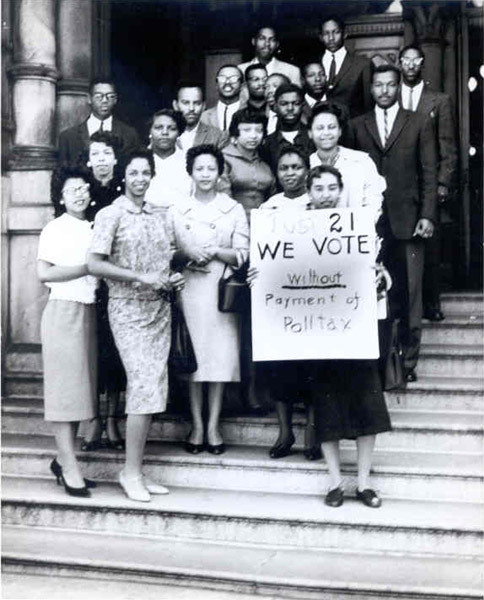 I was at Hampton Institute (now Hampton University) when the students, like so many across the country, protested. At Hampton, we demanded student representation on the Administrative Council, the Board of Trustees, and the expansion of the curriculum to include courses on the Black experience. Our collective voices were heard when we occupied the President’s Office for a few days. 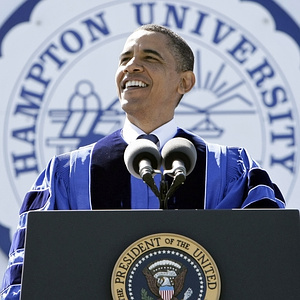 President Barack Obama delivers Commencement Address at Hampton University in May 2010. After threats of sending in the local police, we vacated the building and the administration closed school and cancelled graduation leaving students scrambling. The importance of the Naomi Schaefer Riley brouhaha is that it is an indicator of a larger trend that is happening not only in higher education, but in other aspects of our culture, to diminish the African American experience or make it irrelevant. The campaign to suppress voters’ rights by states is reminiscent of the poll taxes and literacy tests instituted by states to prevent Blacks from voting in the 50s and 60s. The increase in racial profiling incidents, especially in the ‘stop and frisk’ operations by local police, is a reminder of the days when the enslaved were required to carry a pass to leave the plantation unless accompanied by the slave master or overseer. The abandon with which some media members stir the embers of racial dis-ease by providing a platform for the crazy bigots is an indicator of a revised narrative on the horizon similar to the narrative that was constructed during slavery that labeled African Americans as ignorant, lazy and dangerous. History does repeat itself, but it doesn’t have to if we remind folks when they start up that road again to injustice, inequality and just plain ignorance, that we have traveled that road before and we have changed that story. So, we must be vigilant of the Naomis of the world and hold their feet to the fire when they ridicule and question the legitimacy of Black Studies, and by extension our history. We have to query their credentials and their motives. But most of all, the Schaefer Rileys need to be held to a higher standard when they put themselves out there as arbiters of critical analysis on any topic. Shoddy research on a topic that is so important should not be tolerated and because folks were paying attention, it wasn’t tolerated. This entry was posted in African American History and tagged Barack Obama, Black Studies, Hampton University, Naomi Schaefer Riley, Northwestern University Ph.D. candidates, The Chronicle for Higher Education. Bookmark the permalink. 5 Responses to Black Studies Doctoral Theses Under Attack – WHAT NEXT? They old axiom that history repeats itself is looming in our future. It is very important that we are aware of campaigns, legislation and laws that are put in place to curtail our civil rights, especially our hard fought right to vote. Petitions, marches and legal action are the tools we used to ensure our rights, these methods still work today, we can’t let them turn back the clock!